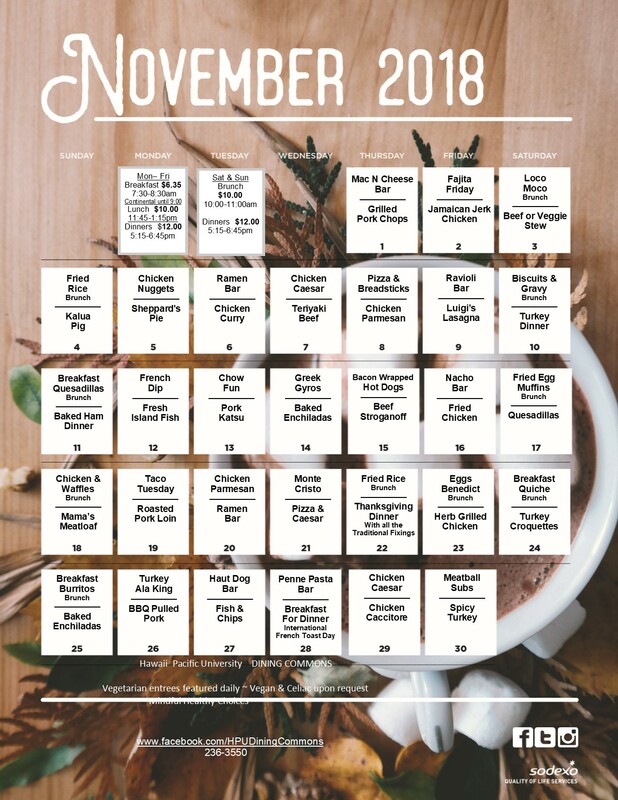 All students living in the Hawaii Loa Residential Community are required to purchase a meal plan, which is selected when a student applies for on-campus housing. When students choose either a 10-meal or 14-meal plan they are making a commitment to that meal plan type for the academic year and are billed at the same time housing charges are placed on student accounts. These meals from the meal plan can be used in the Hawaii Loa Campus Dining Commons ONLY. Unused meals do not rollover to the following week and can not be "gifted" to others. Residence Hall students receive $75 of "dining dollar coupons" each semester that are redeemable in the snack bar located in the Dining Commons. If you miss a meal due to class or work schedule, you have the option to order a Sack Breakfast or Lunch and can request to move dinner to the Snack Bar. Copies of the forms below are available at the Dining Commons, or you can print one below.